dissolved through manipulation of sound. “Sampling Polonio” is improvised in a live-coding performance using a set of sampled materials drawn from the past (Polonio’s music between 1965 and 2001) and the present (my own recent work). Eduardo Polonio: “Para una pequeña margarita ronca” (1969), “Espai Sonor” (1976), “Cuenca” (1985), “ChC” (1992), “Trois moments précédant la genèse des cordes” (2001). Elena Hidalgo: “Multiverso sonoro” (2010), “Fantasma perfecto” (2011), “Naturlogic cycle” (2012), “Orbital Storm” (2014), “Wormhole” (2014). Elena Hidalgo has a Music Education Degree and Bachelor`s Degree in Musicology with a Master in Hispanic Music from the University of Valladolid (Spain). She gets the Piano Professional Degree at the Valladolid Music Conservatory and Sound Engineering Diploma at Microfusa School in Barcelona. During 2006-2012 she taught at the Education School of the Musical Didactics, Plastic and Corporal Expression Departament and at the Music section of the Faculty of Philosophy and Letters of University of Valladolid and Salamanca (Spain). In 2010 she was a Visiting Researcher at UCLA (USA) and in 2013 was appointed Visiting Scholar at the Huddersfield University (UK). At the present, she holds a Ph.D Thesis in Electroacoustic Music Composition at the Huddersfield University where she is member of the ‘Sound.Music.Image’ research centre (SMIC) and is participating in other music departament based projects. 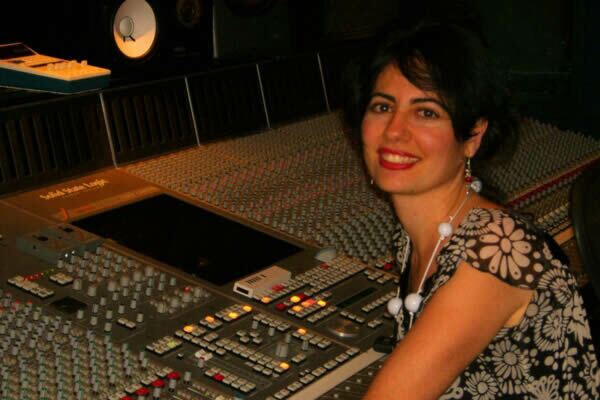 She also composes experimental electronic music for different events, writes articles, offers international lectures & papers and is a board member of the Asociación de Música Electraocústica de España (AMEE). Born in Madrid in 1941. He dropped out of the Engineering and Telecommunications School to attend the Royal Conservatory of Music in Madrid, where he studied the piano, harmonics, counterpoint and composition. In 1968, he obtained a diploma for teaching composition. Between 1966 and 1970, he studied instrumentation with Günther Becker during the Darmstadt Summer Courses. In 1969, thanks to a scholarship from the Juan March Foundation, he trained at the Psychoacoustics and Electronic Music Institute at the University of Ghent. The following year one of his first electroacoustic works (Rabelaisiennes, for prepared guitar, magnetic tape and filters) was nominated for the Gaudeamus Festival Award. He belonged to the Koan group, as both compositor and musician, during its early period (1967-1970). In 1969, he started to work with the Alea laboratory in Madrid. Between 1970 and 1972, he was part of the Alea Música Electrónica Libre group, the first Spanish group playing electroacoustic music live. In 1976, he moved to Barcelona where he worked closely with the Phonos Laboratory.